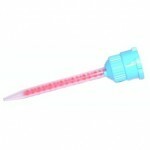 Curved #412 Syringe 12cc 50/bx. - MARK3FEATURES & BENEFITS• Disposable, non-sterile syringes• Designed for surgical site and post-surgical home irrigation• Can also be used with silicone and .. 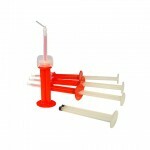 The material wasted inside a standard mixing tip (1.6cc) is enough to do three crowns with Danville’s Mojo Syringe (DMS) The small yet sensibly angled tip of our syringe gives you easy access even to ..
Dispensing Gun 10:1 / 4:1 50ml. 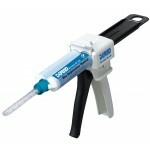 - MARK3..
Dispensing Gun 1:1 / 2:1 50ml. - MARK3..
Mixing Tips Blue/Orange 25/pk. 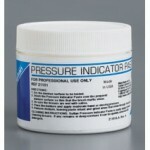 - MARK3..
Pressure Indicator Paste (PIP) 2.25oz. 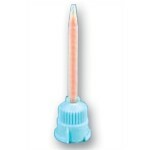 Jar - MARK3When fitting and adjusting dentures, use Pressure Indicator Paste to identify high spots..
VPS Impression Material Heavy Fast Set 50ml. Cartridges 100/cs. - MARK3 Fast and Regular set working timesNo odor or irritation allowing greater patient comfortPleasant mint flavorMade in the US..
VPS Impression Material Heavy Fast Set 50ml. Cartridges 4/bx. - MARK3 Fast and Regular set working timesNo odor or irritation allowing greater patient comfortPleasant mint flavorMade in the USA..
VPS Impression Material Heavy Regular Set 50ml. Cartridges 100/cs. - MARK3 Fast and Regular set working timesNo odor or irritation allowing greater patient comfortPleasant mint flavorMade in the ..
VPS Impression Material Heavy Regular Set 50ml. Cartridges 4/bx. - MARK3 Fast and Regular set working timesNo odor or irritation allowing greater patient comfortPleasant mint flavorMade in the US..
VPS Impression Material Light Fast Set 50ml. Cartridges 100/cs. - MARK3 Fast and Regular set working timesNo odor or irritation allowing greater patient comfortPleasant mint flavorMade in the USA..
VPS Impression Material Light Fast Set 50ml. Cartridges 4/bx. - MARK3 Fast and Regular set working timesNo odor or irritation allowing greater patient comfortPleasant mint flavorMade in the USA..
VPS Impression Material Light Regular Set 50ml. Cartridges 100/cs. - MARK3 Fast and Regular set working timesNo odor or irritation allowing greater patient comfortPleasant mint flavorMade in the ..
VPS Impression Material Light Regular Set 50ml. Cartridges 4/bx. - MARK3 Fast and Regular set working timesNo odor or irritation allowing greater patient comfortPleasant mint flavorMade in the US..
VPS Impression Material Medium Fast Set 50ml. Cartridges 4/bx. - MARK3 Fast and Regular set working timesNo odor or irritation allowing greater patient comfortPleasant mint flavorMade in the USA..
VPS Impression Material Medium Regular 50ml. 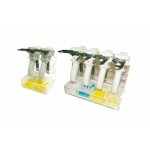 Cartridges Set 100/cs. 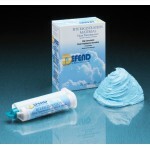 - MARK3 Fast and Regular set working timesNo odor or irritation allowing greater patient comfortPleasant mint flavorMade in the..
VPS Impression Material Medium Regular 50ml. Cartridges Set 4/bx. - MARK3 Fast and Regular set working timesNo odor or irritation allowing greater patient comfortPleasant mint flavorMade in the U..
VPS Impression Material Monophase Fast Set 50ml. Cartridges 4/bx. - MARK3 Fast and Regular set working timesNo odor or irritation allowing greater patient comfortPleasant mint flavorMade in the U..
VPS Impression Material Monophase Regular Set 50ml. Cartridges 100/cs. - MARK3 Fast and Regular set working timesNo odor or irritation allowing greater patient comfortPleasant mint flavorMade in ..
VPS Impression Material Monophase Regular Set 50ml. Cartridges 4/bx. - MARK3 Fast and Regular set working timesNo odor or irritation allowing greater patient comfortPleasant mint flavorMade in th..
VPS Putty Fast Set 300ml. each Base & Catalyst - MARK3Precise detail reproductionGood dimensional stability Fast and Regular working timesExcellent elastic recoveryMade in the USAcolor coded ..
A release lever and a plunger are coordinated simultaneously to load and remove the cartridgeWorks with 1:1 and 2:1 cartridgesiMix® impression gun is used to accurately extrude VPSimpression mate.. 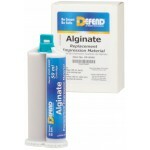 This polyvinylsiloxane "alginate alternative" impression material delivers exceptional accuracy and performance! Indicated for preliminary impressions, provis..
Super Hydrophilic Impression Material, for use with automatic dispensing systems. 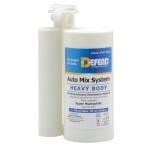 System includes: 325ml Base; 65ml Catalyst and 10 Dynamic Mixing Tips. 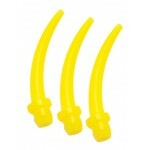 ..
Mousse-like and Thixotropic, fluffy vinyl polysiloxane material. 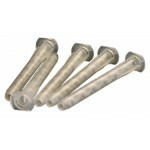 Used for bite registration, copying transfers, and primary impression with bite trays. Thixotropic ..
Polyvinylsiloxane impression material for use in the fabrication of CAD/CAM restorations. This highly-effective conventional bite registration material is also scan.. 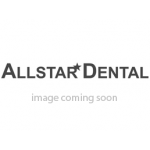 Tips provide precise placement interproximally. 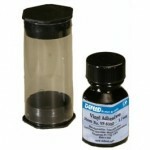 Fits with universal mixing tips, or with HP Mixing Tip #VP-8104 Size: 100/bag Unit/Case: 10bgs/c..
Great visibility for voids or bubbles makes ClearBite an excellent choice as a matrix for quick and easy self cure temporary materials. Light-cure through the clear.. Tips are high performance and for temporary crowns, bridges and acrylics. 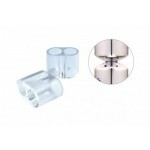 Available in 10:1, 4:1 and 1:1 ratios Size: 25/bag Unit/Case: 10bgs/cs.. 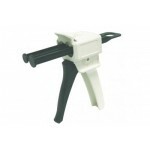 The dispensing gun is used to extrude impression materials and bite registration materials from cartridges. 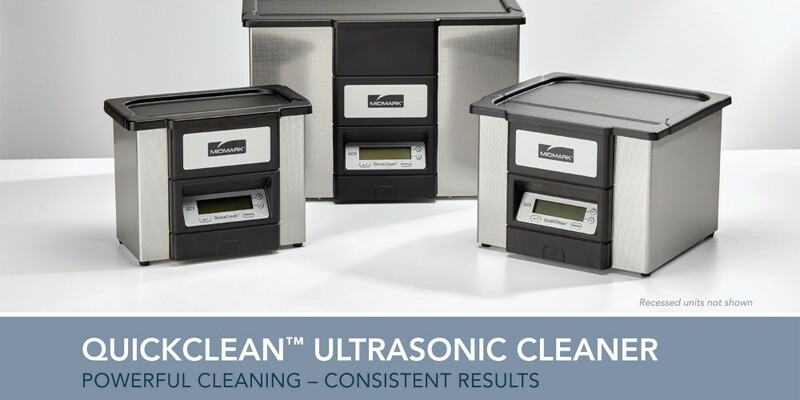 It consists of a release lever and a plunger, which are ..
Ultra high quality mixing tips for use with automatic impression material mixing systems . 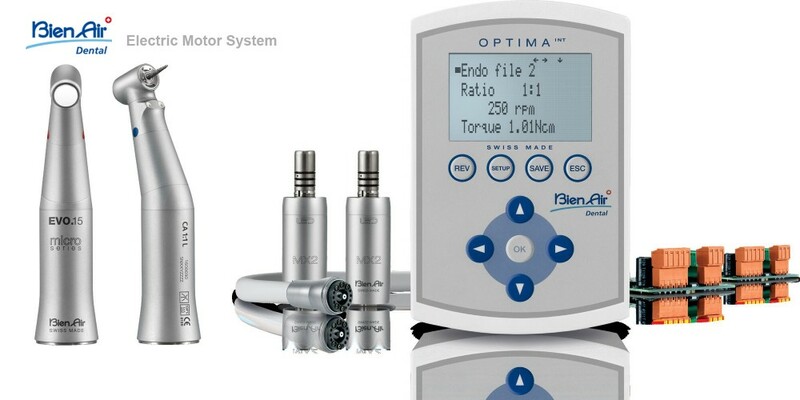 Compatible with: Splash Fat Pak / Discus Dental Precision Fat Pak / Discus Dental Geni..
Ultra high quality mixing tips for use with DEFEND Auto Mix System #VP-6001 & VP-6002. 50 tips per bag #VP-8112 ..
High Performance Mixing Tips for all HP style 50ml impression material cartridges. Tips are color coded according to size Size: 48/bag Unit/Case: 10bgs/cs ..
High performance (H.P) cartridge system available in regular and fast set. All viscosities are available. 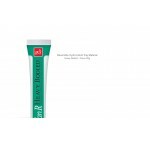 Excellent tear strength to maintain impression integrity upon removal and precise impressio..
DEFEND Impression Trays are made of a strong, rigid material that aids in the generation of consistent, distortion-free impressions. 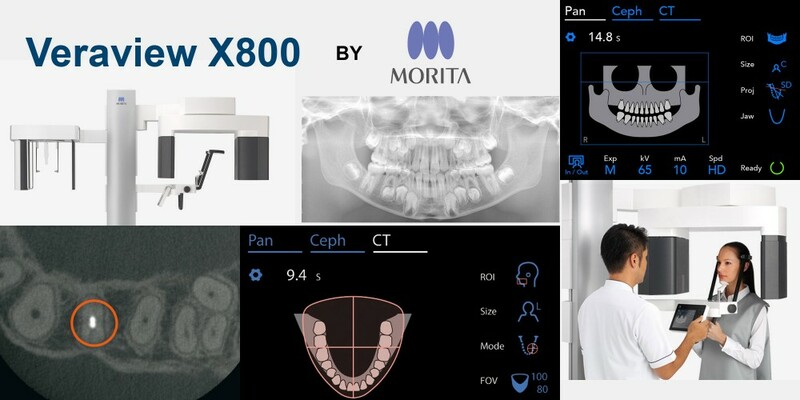 Compatible with a wide range of impression materials,..
For dispensing a ribbon-like layer of bite registration material on the occlusal surface. 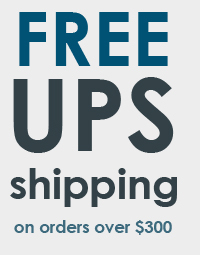 For use with #VP-8104. Easy snap on to Teal (green) HP Mixing Tip and to t..
For Regular, Monophase and Heavy Body. 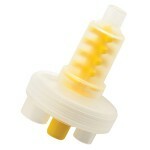 Use with standard style cartridge systems, clear color. Size: 48/bag Unit/Case: 10bgs/cs Weight: 10 lbs .. Designed for Vinyl Polysiloxane Impression Materials. 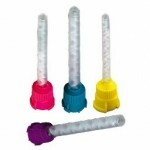 Use with standard style cartridge systems, clear with purple mixer. 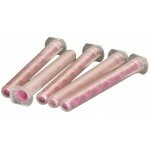 Size: 48/bag Unit/Case..
Firm adhesion between impression trays and VPS impression materials. Non-flammable. 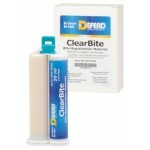 Available in 1 oz w/ applicator. Size: 1oz. 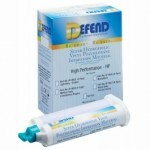 Unit/Case: Indiv..
Defend VPS Fast Set Putty, 2 Jars .. 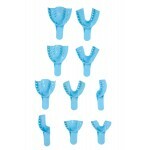 Tips provide precise placement interproximally. 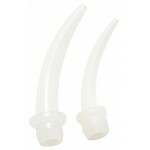 Fits 4.2mm mixing tips and to be used with HP Mixing Tip #VP-8105. .. Heavy Bodied - Green 60g The standard by which all impressions are judged, and the most popular type. At 110ºF, Temper for 7 minutes at 110ºF, Temper 7 min. for Fixed and 3 min. for Removable pro..